Right now, Minneapolis City Hall is deciding how much of your paycheck to take in taxes in 2015. 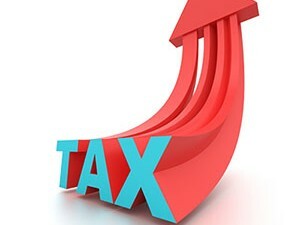 The mayor proposed a tax levy increase of 2.4%. The proposal contained both good and bad elements, but setting priorities would have eliminated the need for the levy increase. On Monday, Dec. 1, the Minneapolis City Council weighed in. In a 7-6 vote, the Council voted for a tax increase of “only” 2.2%, rather than the mayor’s full requested increase of 2.4%. The following councilmembers voted for a lower tax increase than the Mayor proposed: Barb Johnson, Lisa Goodman, Blong Yang, Kevin Reich, Jacob Frey, Abdi Warsame, and Linea Palmisano. Although I still think there’s fat to cut, I thank them for their votes for a smaller increase. These councilmembers voted for the Mayor’s full tax increase: Cam Gordon, Elizabeth Glidden, Alondra Cano, Lisa Bender, John Quincy, Andrew Johnson. Their votes are baffling when you consider how many of their constituents are working hard just to get by. The City Council will take its final budget vote on Wednesday, Dec. 10. So, I encourage you to contact your City Councilperson this week to make your voice heard. Let’s politely remind our elected officials that making it more expensive to live in our city – by taking our money to pay for a $54 million-per-mile streetcar line, dryer lint recycling, and duplicative bureaucracy – is NOT the way to improve the quality of life for Minneapolitans!